Tax season is here and I’m sure you’ve already received some forms in the mail that you’ll need for your filings. It’s important to stay organized this time of year and be aware of all the documents you should gather before sitting down to file your returns. I usually have a set of folders that I use to keep all my tax related papers and receipts in one place so I don’t have to hunt around for them later. I don’t like wasting time when it comes to paying taxes! The U.S. tax code is ridiculously complicated, even CPAs say so, and the more you can understand about what types of tax forms and documents you need to file your returns, the less painful it will be. And you could save more time and money in the process as well by knowing what the various forms are for and making sure you aren’t missing anything. The IRS knows that nobody’s perfect and that sometimes people have to file amended returns, but who wants to waste their time doing that? Knowing what type of tax forms you should receive as an investor, and understanding what each of them is for, will help you avoid having to go through the hassle of filing amendments. So what are some of the reasons you may receive a tax form as an investor? Receiving dividend payments, earning interest income, paying interest on your mortgage, capital gains on stock sales, and taking a distribution on a retirement account. Most of these events will trigger a 1099 form, which comes in many variations depending on what took place. You’ll need to have all of your 1099 forms on hand when you prepare your Federal 1040, and some for state returns as well depending on your location. 1099-DIV: You should get a 1099-DIV if you had an account that received dividends on certain securities, like common stock, or capital gains and distributions. Note that ordinary dividends are reported separately from qualified dividends. And there is also a section on this form that indicates if you paid any foreign taxes, which could occur if you held foreign securities domiciled outside the U.S.
1099-INT: Did you earn interest last year? You will likely receive a 1099-INT. Some examples of ways investors may earn interest, and thus get a 1099-INT, are through holding CDs, money market accounts, bonds, and accounts or funds that hold interest-bearing securities. Keep in mind with rates being really low, if you had a low balance in your account last year, your bank may not issue you a form if you earned less than $10 in interest, which usually isn’t required to be reported to the IRS. 1099-B: Did you trade publicly traded securities last year? You should anticipate getting a 1099-B form, which reports capital gains or losses. Short-term versus long-term gains or losses are shown, as well as other transaction information such as cost basis, date of sale, ticker symbol, quantity sold, gross proceeds, and federal tax withheld. 1099-OID: Did you purchase a bond or note for an amount less than face value? OID stands for Original Issue Discount, and thus the form is reporting when the redemption price (face value) was higher than the issue price of your bond/note. I’ve gotten these forms from my P2P account and from certain trades I’ve done with Citibank. 1099-MISC: A common reason for receiving a 1099-MISC is if you earned money as an independent contractor. 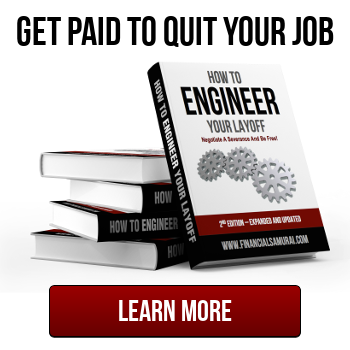 However, you may also receive one if you had any royalty income, prize monies, awards, rents, or some other type of non-employee compensation. 1099-R: Investors who received a distribution from a qualified retirement plan, IRA, profit sharing plan, or annuity that isn’t tax deferred typically will be issued a 1099-R.
1099 Consolidated: Some banks and other institutions may issue you a consolidated 1099 that has multiple 1099s included in one file. For example, I have an investment account at Citibank where I trade structured notes, stocks, mutual funds, etc. so I get a consolidated 1099 statement that includes a 1099-DIV, 1099-INT, 1099-B, and a 1099-OID in one pdf. 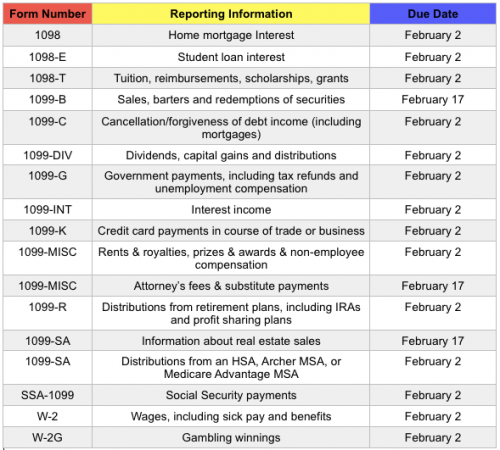 When Should You Have Received All Of Your 1099 Forms? There are specific IRS deadlines that brokers, investment advisors, funds, banks, and other institutions are required to meet each year in regards to 1099 forms. Typically, they need to have everything postmarked by January 31st, but this can vary by a couple days depending on when the weekends fall on the calendar each year. There may be some exceptions, since the IRS likes to make things complicated, but the most common due dates are below. After you get your 1099 forms, check them for accuracy and report any incorrect information to the sender as soon as possible. Review your personal information including your tax ID and address as well. 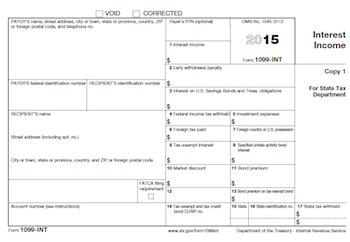 If you find any errors, don’t panic, as the sender can issue a corrected form both to you and the IRS. So, better you have them complete any corrections before you actually file your 1040, so you don’t have to worry about filing an amendment for your 1040. What If You Still Haven’t Received A 1099 Form? Expecting a 1099 that still hasn’t arrived? While some senders are fast and may distribute forms well before the above deadlines, it may take until mid to late February for some forms to arrive, depending on how they sent it. If you are expected a 1099 and haven’t received it by now, it’s time to take action. Double check it didn’t get lost in a pile of junk mail, and check your address on file is up to date. Go through your email inbox and spam folder in case the sender sent an electronic copy too. Often times you may be able to retrievable your 1099s online, as not all senders will send paper copies. Still can’t find it? Ask the account provider to resend a copy or contact the IRS if the sender can’t be located. One of the reasons why you should stay organized and make sure you have all of your 1099s before filing your tax returns, is the IRS gets their own copies of all of those forms. So if you forget to input some numbers, have typos, or fail to report, the IRS is gonna find out. What could happen if you make an error? You may have to pay penalties, go through an audit, and file more paperwork. But no need to panic if you made a mistake. Just contact the IRS and they’ll help you get things sorted out. I’ve spoken to them a few times in the past, and they’ve always been patient and really helpful. And lastly, there could be times when you may think you’re missing a form when you’re actually not. Why might that be the case? If a taxable event didn’t actually occur, for example if you received interest on tax-free treasuries, a 1099 isn’t required and thus you won’t have anything to report to the IRS. 1) I run my Certificates of Deposit for IRAs and post-tax funds through a fund family. 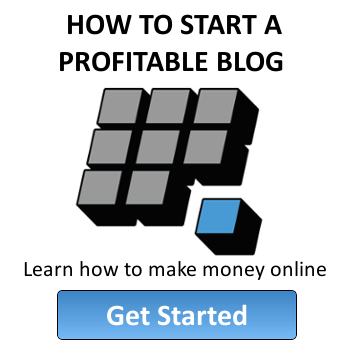 This allows me to keep each institution’s exposure under $250,000 per person. The 1099s for each institution come into my fund family, and I received my consolidated 1099INT on 2/25 by e, and still (as of 3/2) have not received the hardcopy in the USPS mail. I wonder if you’ll actually get a hardcopy in the mail. I didn’t for some of my forms for the first time. Sounds like you’re doing the most kosher route of reporting all of your interest income in its entirety even the tiny amounts. I’d be curious if anyone was ever audited for reporting income from accounts that were under $10 which didn’t generate 1099-INTs – since the IRS wouldn’t have received a form from the bank/broker to confirm the amount. My guess is probably not unless the filer had a ton of accounts that all had small amounts. But I also can’t see the IRS flagging someone for paying “more” in taxes either. Hi Sydney, just following up. Did receive the hardcopy on 3/6 for 1099INT consolidated. Your advice to “take action” if the 1099 wasn’t received by mid-to-late Feb. is excellent. As for the tiny interest amounts, I also would be surprised if the IRS flagged anyone for not declaring >$10 in interest with no 1099; but if I get flagged/audited for ANOTHER reason, once the IRS is all ‘up in my kitchen’ I do not want to give them any justification to rap my knuckles, especially if it is a problem I can potentially avoid. NNTR, continued success to you Sydney! I finally was able to track down my last 1099-B for company stock that I sold last year. I guess they never got my updated address. Also I didn’t realize that they published it online. Well one call got that all sorted out. Taxes are almost complete, but since I have to cut a check to the IRS, they won’t be filed until the deadline. No free rides with my money. Plus I have a little more time to make sure I entered everything correctly and think of any other deductions that could lower my tax bill further. One thing I just remembered last night was that I opened up a SEP IRA for the consulting business I started last year. So I will play around tonight to see what the impact could be in contributing up to 25% of the profits from that business is on lowering my tax bill. If I could get it to zero I would much rather have a shift on the asset side of the balance sheet then a net outflow to the IRS. Nice! I found out this year that some of my accounts only send digital 1099s now too. Great job getting a jump on your tax returns. You’re smart to take your time now to make sure you got everything right and didn’t miss anything. Oh I hate tax time…but thankfully I employ a professional who happens to be a tax wizard. Unfortunately with capital gains and dividends, I always end up owing – this year to the tune of ~$470. This was helpful for the 1099 timeline, I never received one of my own and was still able to declare it as business income. Doesn’t it feel so good to get help from a tax pro?! It’s mind boggling how complicated the IRS rules are let alone the State. That’s not too bad at all owing $470. I had to pay a lot, but I expected it at least and I had a good year so I can’t complain. Glad you found the timeline helpful! I gotta do my taxes this week. So painful! Part of the reason why I don’t like to trade any more is b/c there is then more tax work to do! Finishes your taxes is one of the best feelings…well unless you owe a lot. Even though I owed this year, I was still happy to be done with my filings. One thing less to do on my list is always a happy feeling!